After a big global success of kwadron needles, by more than a year, we have worked on the new needles based on hard steel with long taper blades. Designing various configurations, based on our own experience and your opinions using several blades we created new product called UNISTAR™. Many of you were curious about the soft edge magnum, and it is through forms of the arc in which they are soldered needles. Through multiple tests with different types of arc we made the most optimal configurations for sem. Our SEM is a real precision adapted to your needs. Unistar™ it is also super precise tubes made of plastic material of high density and silicon grips. 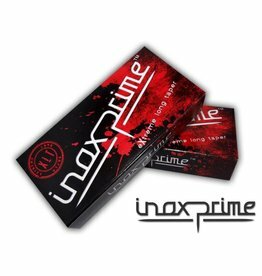 It is another step forward in the interests of the quality of our products and your comfort. 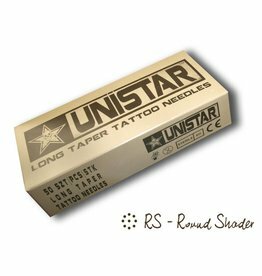 Unistar™ needles are combination of surgical steel with high hardness blades 2, 3 and 6mm and super precise soldering. Round liners are available in the standard version - 3mm and super "focused" - 6mm.